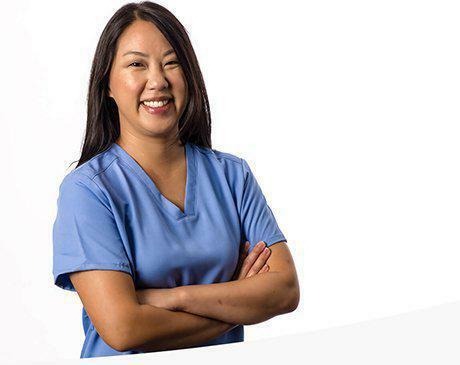 With a diverse background as a physician’s assistant, Melissa Miao, PA-C, provides innovative treatment solutions for patients of all ages. Melissa cares for patients at Peak Medical in Berkeley Heights, New Jersey. After earning her bachelor’s degree in biology from Seton Hall University, Melissa was accepted into graduate school. She completed her master’s of physician assistant degree from the University of Medicine and Dentistry of New Jersey (now Rutgers). Melissa, who specializes in noninvasive pain management techniques, administers joint and trigger point pain-relieving injections. She regularly evaluates and manages physical therapy regimens and makes changes based on each patient’s needs and abilities. Additionally, Melissa oversees the cosmetic and aesthetic division at Peak Medical. She’s trained in giving anti-aging Botox® injections, body-toning CoolSculpting® sessions, and platelet-rich plasma treatments, among others. Patients of Melissa appreciate her willingness to explain their conditions and treatment options. She’s known for thoroughly answering questions and spending quality time with each of her patients. Outside of the clinic, Melissa enjoys spending time with her husband, two kids, and dog. She has special interests in fishing and crabbing.